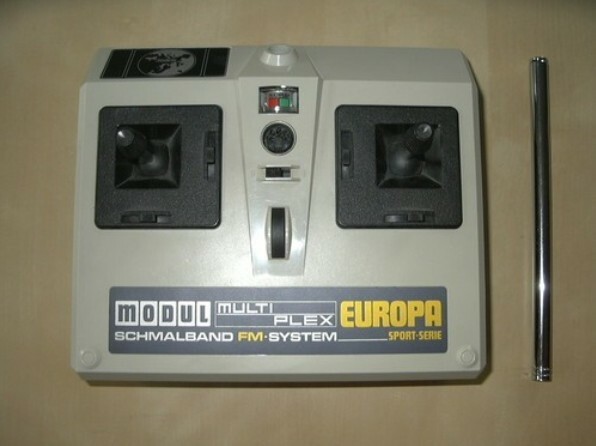 This Europa Sport transmitter was introduced by German brand Multiplex in 1978. Available as 2 channel version for cars, there had been also 3 and 4 channel versions for aircraft use. Also this transmitter was ready for future channel upgrades as it was easy changing the stick mechanism. 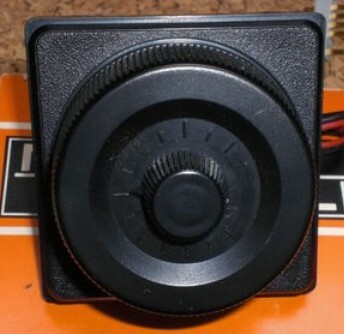 Other features were servoreverse and quickchange HF modules, quite rare that time. As an option there was a steerwheel conversion replacing one of the sticks. Based on similar design there was also the Combi series transmitter with more functions and larger case. This had been used by David Lecat for winning the 1/8 Gas Worlds in 1983.